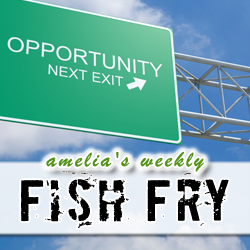 The pedal is to the metal, our motor is running, and Fish Fry is hitting the open road. At the wheel this week is mCube CEO Ben Lee. Ben and I discuss the future of the IoT market, the details of mCube’s super tiny accelerometers, and where you can find a truly unique golf course where you play above the clouds. Also joining our Fish Fryin’ caravan this week, is an exciting update from the folks at Google’s Project Ara (and you won’t want to miss this!) Last but certainly not least, we round out this episode with a little ride down Static Timing and Constraint Validation Lane. Buckle up my friends, it’s gonna be a wild ride! Featured Article by Kevin Morris: Dawn of a new Ara – What’s Google’s New Modular Smartphone Really About?